The “gay” Swan Lake is not fare that will attract the traditional Atlanta audience. Some marketing savvy, please???? Atlanta Ballet is one of the oldest companies in Atlanta… but they have always had to struggle and have experienced more valleys than peaks. The inaugural season at Cobb Energy Center was well considered: a complete season of traditionally choreographed, full-length story ballets. That would continue to attract a broad audience and put AB back on track. But after that first season in the Cobb Centre, they ventured back into studio, modern dance, and minimalist costuming and scenery. I dropped my subscription and will never go back. Listen up, folks. You have to give your audience what they want. In order to do that, you have to study them and learn who they are. If this is the kind of stuff you want to present, then get out of the South and go back to NYC or California. The caustic responses flew under this ballsy missive, authored by a Mr. Stelling in response to a review of "Love Stories", Atlanta Ballet's final performance of the 2012 -13 season. But what if the guy had a point? After all, dance companies were struggling, many forced to fold. Maybe it was simply that dance companies were presenting stuff no one -- save the latte-drinkin', foreign-car drivin', sushi-eatin' crowd -- wanted to see. Disturbing celebrities with P.R. woes know just where to come for an image hosedown. Alla Haiders last evening length work, Kiss Me Ke$ha, had audiences tweeting that the pop sensation would be an ideal preschool teacher. Ms. Haiders now pays brilliant tribute to Honey Boo-Boo in a ballet comprised of seven tour de force female solos. “Vegetables Kill People,” “Throwin' Sketti on the Cab'nets,” and “Glitzy Piglet” will have audiences crying out for more, and wondering why Miss Boo Boo lacks a seat on the US Senate. In this timely gem about our 44th president, new choreographer Rush Limbaugh shows he never met a literal idea he didn't put a ring on! Desmond Richardson stars, reaching into homes, hospitals and businesses and starving people, doing a series of frenzied jumps and stomps on a paper reading "THE 2ND AMENDMENT", and dancing a passionate duet with the Koran while enjoying a large vat of hummus. The thrilling chase and fight scene around the Oval Office with Speaker John Boehner, played by himself, is more than worth the price of admission. Recently, a dancemaker known simply as “Billy” was enjoying a dance performance when behind him he overheard some men complaining that ballet was “dumber ‘n a dead possum.” He spoke gently to them at intermission, and left the theater with two black eyes and a broken rib. Even before he could see straight, Billy rushed into the studio demanding that his dancers, “do y’alls jumps so fast folks can’t even see 'em!” The result is the long-awaited lovechild of car racing and classical ballet. This slap-yo'-momma-good evening length work blends two traditional story ballets, Cinderella and Swan Lake, with Duck Dynasty. On a hunting trip a young duck hunter meets the woman of his dreams and swears his undying love. Little does he know after midnight she turns into a duck! The following week, he thinks he's repeating his promise to the same woman, except she’s got a tan. He has no idea that he's been tricked by the evil, animal activist owner of a tanning empire, the Organ-A-Tan-N-Save, who kidnaps sets of twins, makes them ducks by night and women by day, fits them with webbed stilettos, and leaves one pale and the other tanner than George Hamilton. Will the young hunter run off and join PETA? Or will he figure out how to eat, kill, love? 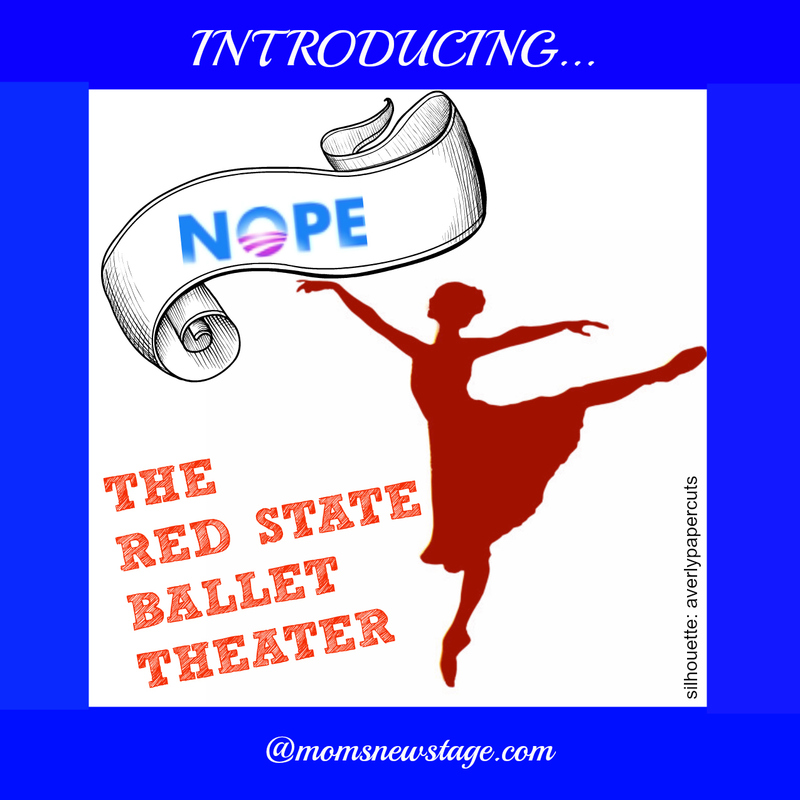 But seriously, all satire aside, if it’s been a while since your last dance performance, or if you never see live dance, what would it take to get you into the theater? And for those in the dance biz, what makes you go see something or decide to skip it? What do you think keeps people away? Is it the expense or is it something more? OK, you may be on to something with making ballet more accessible with some of your proposed productions! It's an important discussion, because isn't this always an issue in the performing arts - and why I wish there was more public funding so that tickets weren't so expensive and arts organizations could stage more "risky" productions. I know here in NYC you can choose a subscription for the ballet that is more "traditional" or "experimental," but I'm guessing we have more options as we're one of the cities specifically referenced as one of the places that would appreciate the Atlanta Ballet!